Once you learn the basics, the iPad is an amazingly simple tool. 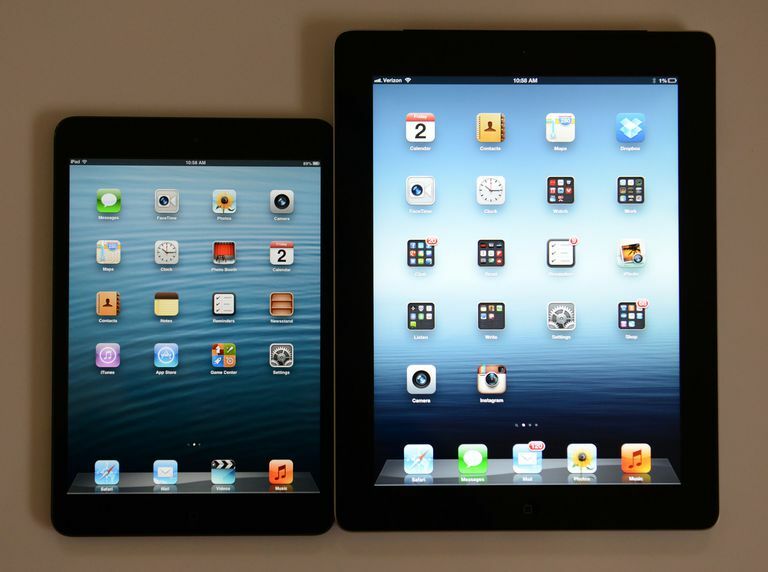 If this is your first time with a touch device, you might be a little intimidated about how to control your new iPad. Don't be. After a few days, you'll be moving around the iPad like a pro. This quick tutorial will teach you a few valuable lessons on how to both navigate the iPad and set the iPad up the way you want it. The iPad comes with a number of great apps, but once you start downloading new apps from the app store, you will soon find yourself with several pages filled with icons. To move from one page to the next, you can simply swipe your finger across the iPad's display from right to left to go forward a page and from left to right to go back a page. You'll notice that the icons on the screen move with your finger, slowly revealing the next screen of apps. You can think of this like turning the page of a book. You can also move apps around the screen or move them from screen to another. You can do this on the Home Screen by pressing down on an app icon without lifting your finger. After a few seconds, all of the apps on the screen will begin jiggling. We'll call this the "Move State". The jiggling apps tell you the iPad is ready for you to move individual apps. Next, tap the app you want to move, and without lifting the tip of your finger from the display, move your finger around the screen. The app's icon will move with your finger. If you pause between two apps, they will part, allowing you to "drop" the icon in that spot by lifting your finger from the display. But what about moving from one screen of apps to another? Instead of pausing between two apps, move the app to the very right edge of the screen. When the app is hovering at the edge, pause for a second and the iPad will switch to the next screen. You can hover the app over the left edge of the screen to get back to the original screen. Once you are on the new screen, simply move the app to the position you want it and drop it by lifting your finger. When you are done moving apps, click the Home Button to exit the moving state and the iPad will return to normal. You don't need to rely on pages of app icons to organize your iPad. You can also create folders, which can hold several icons without taking up a lot of space on the screen. You can create a folder on the iPad in much the same way as you move an app icon. Simply tap and hold until all of the icons are shaking. Next, instead of dragging the icon between two apps, you want to place it right on top of another app icon. When you hold an app directly on top of another app, the gray circular button on the upper-left corner of the app disappears and the app becomes highlighted. You can drop the app at this point to create a folder, or you can continue hovering over the app and you will pop into the new folder. Try this with the Camera app. Pick it up by holding a finger on it, and when the icons begin shaking it, move your finger (with the Camera app 'stuck' to it) until you are hovering over the Photo Booth icon. Notice that the Photo Booth icon is now highlighted, which means you are ready to 'drop' the Camera app by lifting your finger off the screen. This creates a folder. The iPad will try to intelligently name the folder, and usually, it does a pretty good job. But if you don't like the name, you can give the folder a custom name by touching the name the iPad gave it and typing anything you want. Next, let's put an icon on the dock at the bottom of the screen. On a new iPad, this dock holds four icons, but you can actually put up to six icons on it. You can even put folders on the dock. Let's move the Settings icon to the dock by tapping the Settings icon and leaving our finger on it until all of the icons shake. Just like before, "drag" the icon across the screen, but instead of dropping it on another app, we'll drop it on the dock. Notice how all of the other apps on the dock move to make room for it? This signifies that you are ready to drop the app.